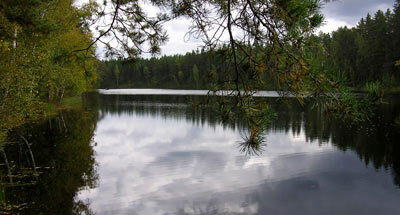 National Park Sebezhsky is situated in the Sebezhsky District of Pskovskaya Region. The Park was founded in 1996. Its area is 50,2 thousand ha. It comprises the District of Sebezhskoye Poozeryc on the watershed of the basins of the rivers Zapadnaya Dvina and Velikaya. Lake-hill landscapes are present in the border zone of Valday glacier. 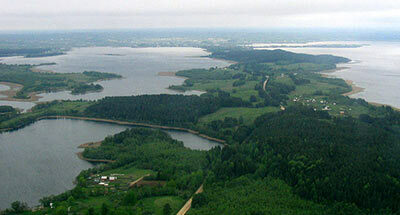 There is a great number of lakes connected by rivers and canals — the Sebezh, Orano, Osyno, Necheritsa, Glubokoye, Sviblo, Beloye, etc. 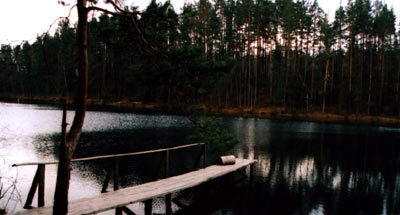 The plant cover is formed of southern-taiga pine forests with examples of broad-leaved breeds; on sands pine forests are present; in lowlands are lowland bogs. Flora makes up 700 vascular plant species. Of rare and disappearing bird species there are the black stork, fish hawk, and white-tailed eagle.